Bryan’s the winner of the contest we started on Jack Davenport’s birthday. The Mary Bryant DVD will wing it’s way to your mailbox next week. And hey — Bryan + Bryant – this will definitely be a successful TV evening! As for our question for your favourite Jack-roles: difficult to decide, isn’t it? Most people mentioned that they couldn’t narrow the choice down to one, but we can say that Steve Taylor is in the lead, followed by Norrington and Peter Smith-Kingsley. Ultraviolet’s Michael was mentioned several times, so was Lt. Clarke and, funny that, Nameless Male in The Cookie Thief! Neat! Thanks a lot for participating, there might be another contest later in the year. It’s Jack’s birthday. Good! So we run a contest. Yay! 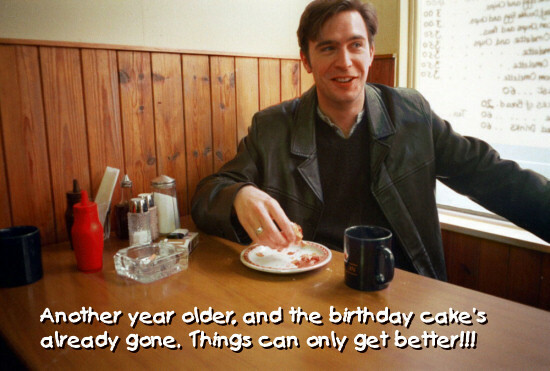 1 March, and Jack Davenport is celebrating his 36th birthday. HAVE A GOOD ONE, SPARKY! CHEERS! Let’s throw our own party: on this special day, we run a contest! Yes! WIN THE “MARY BRYANT” DVD! You read it right, a free give-away! All you have to do is to send us an email (sparky at goodboysparky.net) and tell us what your favourite Jack Davenport-role is: Norrington in PotC? Clarke in Mary Bryant? Bruce in Swingtown? Steve in Coupling? Miles in This Life? Peter in The Talented Mr. Ripley? (That would be mine!) Or someone else? Do tell! Deadline for your mail is 4 March (so you all have plenty of time to mail us). Your answer has no influence on your chances of winning the contest, by the way. We’re only curious. The winner will be drawn and receive a mail with the happy news. Our decision is final, no further discussions. By participating in the contest, you confirm that you’re at least 15 years of age and accept the rules. Special thanks go once again to Dora for finding this. Cheers!